Get ready, Beatles fans, because we have some seriously amazing news for you. 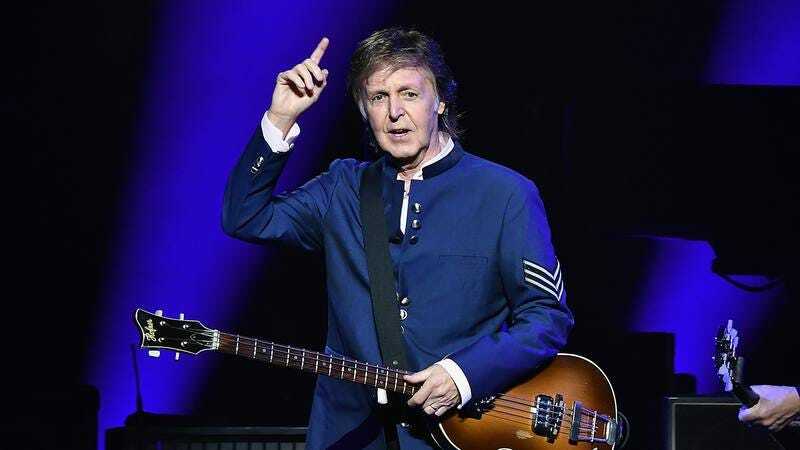 Paul McCartney just made a major announcement that has taken the music world by storm: He revealed that he is going to keep the same haircut he has now until he dies! Yes, you heard that right. This is the last hairstyle Paul will EVER have! According to a statement released last night, the 75-year-old singer said that he is planning on sporting his lightly tousled, over-the-ear haircut for however much longer he has left on Earth, and then when the time comes, wearing it to his grave. Taking to his personal website, Sir Paul McCartney explained that there is a zero percent chance that he will change his hair before he dies, because he’s had it like that for so many years, and at this point he doesn’t want to go through the effort of trying something new. Wow! In all likelihood, this is the final incarnation of one of rock’s all-time greats. Luckily, in these last months or years before he inevitably dies, we’ll all know exactly what we’re getting when we look at Paul McCartney’s head. Good on you, Paul!